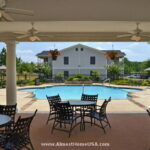 This Shreveport corporate housing combines the convenience of a community in a beautiful country setting with two private lakes and lush greenery. Conveniently located off . . . 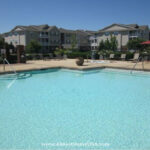 These Shreveport furnished apartments are in a brand new apartment community offering luxury living at its best. Choose from 1, 2 and 3 bedroom apartments . . . 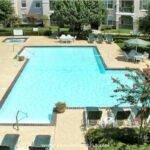 These luxurious and spacious Bossier City furnished apartments offer the latest technology, gourmet kitchens, full-size washer/dryer and luxurious garden tubs. Stay healthy using the 24-hour . . .
With an inauspicious beginning in 1836 as nothing more than a juncture point between the Red River and the Texas Trail, Shreveport has burgeoned into the third largest city in Louisiana and is the commercial and cultural hub of northwestern Louisiana as well as nearby Arkansas and Texas. Almost Home Shreveport corporate housing clients will enjoy immersing themselves into the culture of this bustling river town. If you like to shop till you drop, several places in Shreveport beacon you. Downtown Shreveport is a good start. Then you would do well to also pay a visit to the Shoppes at Bellemead. There you will find a wide array of modern stores such as Chico’s and Coldwater Creek. Finally, no Shreveport shopping foray would be complete without strolling along The Outlets at Louisiana Boardwalk in Bossier City directly across the river from Shreveport. Along the Red River are numerous, picturesque biking and jogging trails. Additionally, several city parks also furnish you with enjoyable outdoor experiences. Corporate apartment renters with children in tow will not want to miss a trip to East King Highway Park, called “The Duck Pond” by locals. Your child will be delighted to feed the hungry little “quackers,” as well as play on the wide variety of playground sets scattered throughout the park. Another child-friendly park enjoyed by local residents is the A. C. Steere Park with plenty of water fun in the sprayground, including unique playground modules that meet diverse needs of children. There are also tennis courts, a 3/8 mile trail, picnic area, and two lighted ball fields. If you still haven’t cooled off with enough water, pay a visit also to Splash Kingdom Water Park for more family fun. If fishing, boating and camping are your choice of recreational activities, check out nearby Cypress Black Bayou, Caddo Lake, and Red River National Wildlife Refuge. All in all, Shreveport beacons its residents with a panoply of fun activities. Check them out for yourself the next time you stay in Almost Home's Shreveport corporate housing. 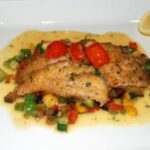 Nothing beats local Shreveport residents’ recommendations when it comes to eating choices. Staff members at some of the apartment communities at which Almost Home has . . .